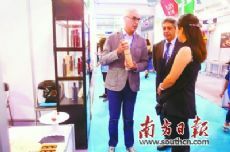 2017 Guangdong 21st Century Maritime Silk Road International Expo will be held in Dongguan from September 21 to 24. Currently, the expo has attracted business associations from over 20 foreign countries and regions. The Expo sets up a new cooperation platform for Guangdong and countries (regions) along the maritime silk road to expand cooperation and exchanges since 2014. It is said that the exhibition area of the expo will be enlarged to 100,000 km2 this year. There are one theme exhibition and six professional exhibitions in total. As for the setting of exhibition areas, the expo will have one theme exhibition area to showcast business opportunities and cooperation, cross-border e-commerce logistics, information technology products. Also, to meet the developed demands of countries (regions) along the maritime silk road, 6 professional exhibition areas are set up, including Tourism and Culture Exhibition of Maritime Silk Road, Exhibition of International Building Decoration Materials and Engineering Machinery, Exhibition of Typical Food and Agricultural Products along Maritime Silk Road, Exhibition of Selected International Tea Culture, and Exhibition of Selected International Ceramic Culture, and Exhibition of Selected International Silk Culture. On September 22, a theme forum about this expo will also be held at Guangzhou.